The ketogenic diet, also known as keto, is a low carb, moderate protein, and high-fat diet which puts your body into a metabolic state known as ketosis. It’s more than just a trendy fad diet as it’s been around since the 1920s. It’s one of the best ways to lose weight, increase mental focus, and just feel happier about life. The idea behind the ketogenic diet is that when your body enters ketosis, the liver begins to produce an energy source known as ketones. These ketones are used to fuel your body and help to provide a consistent source of energy unlike glucose (carbs). So what makes this diet so awesome and why is everybody talking about it? Because it completely resets your body and has it working the way it was intended. Its whole premise is based on the idea that your body runs more efficiently as a fat burner than a sugar burner. When you eat something that is high in carbs (which usually means it’s extra delicious) then your body will simply convert it into glucose and insulin. Glucose is the easiest molecule for your body to convert into energy and that’s what makes it the preferred energy source. Many times when you’re craving a donut or cookie it’s not because you are hungry, it’s because your body wants an easy energy source. Insulin is produced to process glucose in your bloodstream so that it can be transported around your body. When you put things like this, it seems like being a sugar burner is the way to go. Your body processes things efficiently and you get to do what you want. The problem with this route is that when glucose is used as the primary energy source, then your body has no need for fats. It doesn’t get rid of them (that would be great), instead it stores them because it never knows when they will be used. Also, your body doesn’t keep the extra glucose around for when you decide to run to your mailbox. Instead, it converts that into fat and stores it as well. Almost everything seems like it gets converted into fat and stored. You can start to see why you might adding those love handles you never expected. The average person’s diet is based heavily on glucose and therefore most people are storing fat. When your body runs out of glucose it doesn’t immediately start to use the fat for energy. Instead, it tells you that you need MORE glucose so go and grab that cookie. Hopefully, by now you can begin to see how this cycle continues and unless you are really active, the fat begins to build up and produce a body that you don’t want. If your body doesn’t have extra glucose to store then it can’t be converted to fat. If your body begins to understand that it can’t rely on glucose as an energy source then it turns to fat. That is why the ketogenic diet is so successful. Your body stops being a sugar burner and becomes a fat burner. When you lower your intake of carbs (low carb diet) then your body knows that it must find an alternative energy source and fat is the next best thing. However, fat itself can’t be used by your organs so the fat needs to be converted into ketones. When your body is running efficiently and converting fat into ketones this is known as ketosis. It’s important to understand that ketosis is a natural process and is the reason why you can go weeks without eating. Most of us have enough fat stored in our bodies to last us a good while (sad but true). One of the questions you might be asking now is why doesn’t the liver constantly break down fats into ketones? You have to remember, your body is a pretty efficient machine so if it has an easier energy source to process (glucose) then it’s not going to bother producing another. That’s why you need to deprive your body of one energy source so that it can start to create another. Insulin is another big reason why your liver can’t do what you want it to do. Insulin is a hormone that plays a huge role in preventing fat cells from entering the bloodstream. If fat cells can’t enter the bloodstream then they can’t enter the liver and be converted into ketones. When you lower the number of carbs you eat, then glucose and blood sugar levels drop which in turn decreases the need for insulin. When the insulin levels drop enough, the fat cells begin to release the water they are storing. This is why people usually have a sudden drop in weight when starting keto. They are losing water weight (which is what is supposed to happen). When the water is released, it shrinks the size of the fat cells allowing them to enter the bloodstream where they can then enter the liver and be converted into ketones. This is the end goal of the keto diet. You don’t enter this state of ketosis by starving yourself. Starving is never a healthy diet or a way to live. Instead, you’re just simply eating less of the stuff that prevents fat cells from entering your liver. You enter ketosis by starving your body of carbohydrates, not food. Now that you understand the science behind the ketogenic diet lets talk about its benefits. Often you’ll hear people say that keto changed their lives and this isn’t an exaggeration. While weight loss is the obvious benefit of the ketogenic diet, it’s not the one that keeps people around. You can only lose so much weight! It’s the other benefits that make people say it’s a lifestyle and not a diet so let’s dive into the benefits of the keto diet. Again, this is the obvious one. Rarely do people want to change lifelong eating habits to gain weight. Because keto is meant to help you burn fat and use it as an energy source then it makes sense that it is a good diet to help you burn fat. Starve yourself of carbs which lowers insulin levels which in turn allows fat cells to enter the bloodstream which in turn allows them to be converted into ketones. A truly efficient fat burning machine. Many people around the world suffer from diabetes. Diabetes is caused by your body’s inability to handle insulin. Because keto naturally lowers blood sugar levels, your body produces less insulin. Because keto helps to maintain your blood sugar levels and keep them more consistent you find that you have more control of your everyday life. This is a huge benefit. You won’t be able to read minds or anything but it’s amazing to feel like nothing is clouding your brain. Apparently, carbs can make you feel foggy and if you’ve been on carbs long enough then you just don’t notice it anymore. However, when you switch over to keto you’ll notice that you can concentrate on single tasks better. You don’t get distracted as easily and you think with a lot more clarity. Again, you won’t be able to read minds but your mental performance will definitely improve and if you want to know a reason why it’s because when your body is using ketones as an energy source, that proves to be a consistent energy source. When your body depends on glucose, energy levels fluctuate because the amount of glucose in your body is constantly changing. However, with ketones, your body is able to produce a consistent level (depending on your needs) so your brain doesn’t have to go through fluctuations of fuel. No more feeling groggy or wanting to take an afternoon nap. When your body has consistent energy then that means consistent performance throughout the day. Who knew that you were supposed to feel fine throughout the day and not just during certain moments? Because your body can only store so much glucose that means its fuel source is limiting unless you’re able to constantly replenish it. Carbs can also cause spikes in blood sugar levels and you know what happens when those levels suddenly drop: you crash…hard. Ketosis helps to provide your body with a reliable energy source throughout the day so you can just keep on chugging along. It’s one thing to be on a diet and starve yourself and it’s another thing to be on a diet and just not be hungry at all because your body is doing just fine. But that’s what happens on keto. People find that one of the hardest things about the diet isn’t sticking to it, it’s reaching their daily macros because they have no urge to eat. If you aren’t hungry, you aren’t hungry. When your diet is filled with carbs you’ll often think that you are hungry when in fact, your body is simply craving more glucose. Another plus about the ketogenic diet is that because you’re loading your body up with healthy fats you end up feeling naturally satisfied. This leaves your body in a satiated state for much longer. No more random cravings. No more feeling like you’re going to collapse if you don’t eat something immediately. In fact, you won’t even think about being hungry which will allow you to focus on other things. Studies have shown that the ketogenic diet can help to improve both triglyceride levels and cholesterol levels. Because it means that there is less toxic buildup in the arteries which allows blood to flow more freely throughout your body. Exactly as it should be. Low carb and high-fat diets show a dramatic increase in HDL (this is the good cholesterol) and a decrease in LDL (this is the bad cholesterol). All of this helps with improved blood pressure. This is no surprise considering that most blood pressure issues arise from being overweight and since the keto diet helps with weight, an obvious benefit is a decrease in blood pressure. Type II diabetes occurs when your body can’t handle the insulin that it produces. Because the ketogenic diet helps to lower insulin levels to healthy ranges, many people find that they are no longer on the cusp of getting diabetes. Because a lot of skin issues are related to hormones and keto helps to balance all hormone levels in your body, you end up with better skin without any additional creams or medications. This is one of those things that you would never think about but I don’t think anyone is going to argue against having better skin. The keto diet was originally created in the 1920s for sufferers of epilepsy and it has been used ever since and is still one of the most widely used treatments for children suffering from uncontrolled epilepsy. Keto is great for epilepsy because it reduces the amount of medication epilepsy sufferers need to take which is always a good thing. If you’re looking for more awesome things that keto brings to the table then check out What is Ketosis where we do a deeper dive into what ketosis is all about and how it can benefit you. Now that you understand the benefits of keto you’re probably wondering what you should eat when doing keto. I’m not going to pretend that the keto diet is one of those diets that allow you to eat anything that you want while also making you secretly train for a marathon. While there are a ton of keto recipes for you to choose some, there are limits to what you can eat. Keto food is delicious. If you think you’re going to miss out on sweets then don’t worry because keto fat bombs will make sure your sweet tooth is satisfied. It’s important to understand what you can eat on keto because you can easily knock yourself out of keto if you munch on something that you believe is safe like a bag of carrots. Thankfully, most of the foods that you need to avoid are pretty obvious. If your diet consists of most of these things you might think that there is nothing left. For instance, if you can’t eat bread then what do you do? You turn to some form of keto bread. Love fruit? Well, there are some fruits you can eat on keto but they probably aren’t the ones that you’re thinking of. Generally, you shouldn’t feel yourself being left out of good food. Now, let’s talk about the foods you can eat. As you can see you aren’t really limited on food options. You can make a ton of different keto snacks along with delicious keto meals. If you’re looking for an easy to read list of keto-friendly foods then check out this keto shopping list which will help you for any time that you go shopping. Now that you understand what foods you can eat does this mean you get to eat all of the food that you want? Unfortunately, no. You need to figure out your macros and use those as a guide. What the heck are macros? Let’s find out. Any weight loss diet begins with the premise that you need to put yourself in a caloric deficit. What does that mean? It means you are burning more calories than you are consuming. This is why people get so caught up in calorie counts but they aren’t really something you need to track on keto as long as you know your macros. Because the ketogenic diet is a high-fat diet, that means the majority of your calories need to come from fats. Makes sense right? 70% of the calories are going to come from fats. This doesn’t mean 70g of fats because 70g of fats doesn’t equal 70 calories. Instead, 1g of fat equals 9 calories. So if you need to get 70 calories (70% of daily limit) from fats, then you would need to eat 7.78 grams of fat. 25% protein means you need to eat 6.25 grams of fat. Why? Because 1g of protein is equal to 4 calories. 25 calories divided by 4 equals 6.25. 5% of carbohydrates means you only get 1.25 grams of carbs a day. Remember, these numbers are all lower than what you’ll eat in a day because we are working off of a 100 calorie day. When talking about carbs I should’ve been more specific. Instead of 1.25 grams of any carbs a day, you are allowed to consume 1.25g of NET CARBS. It’s important to understand that not all carbs are created equal. Some carbs are derived from fiber which doesn’t present any harm to your body. Because of this we can subtract the amount of fiber from the total amount of carbs to get the net carbs. On a nutrition label you’ll see Total Carbohydrates and two things underneath it: Fiber and Sugars. If there are 25g of total carbohydrates in something and 7g of fiber then the net carbs for that something is 18g. Because the keto diet is based around the concept of eating a small amount of carbs a day it’s important that you keep an eye on the amount of carbs you consume. This is also why people get tripped up eating vegetables because you would never think that vegetables can be a large source of carbs. When people used to tell you to eat your vegetables as a child they never said “eat your vegetables but only those with a low amount of carbs”. Some vegetables just have a higher amount of net carbs than other vegetables. That’s why when you go through keto recipes you’ll find that a lot of your favorite vegetables might not be present. Below is a table showing you the different amount of net carbs in popular vegetables. If you’re interested in diving in deeper into keto and vegetables then check out 11 Low Carb Vegetables That You Can Safely Eat on Keto. Alright, now you probably think you got the hang of things so the next question is how do you get started on keto? By now you’re probably excited to give the keto diet a shot. I don’t blame you, it’s awesome. However, one of the worst things that you can do is think that you can just go to the store right now and dive right in. Many people fail keto because they aren’t prepared, not because it is hard. Before you jump head first into the ketogenic diet I suggest that you take the time to understand meal planning on keto so you don’t have any missteps. Also, understand how to calculate your macros on keto using some type of macros calculator. If you nail those two things then it just comes down to execution which also includes drinking enough water each day and making sure that you are getting enough sleep. This article answers the quesiton of how much water should you drink per day. As for sleep, well just make sure you get enough of it. If you don’t want to plan meals because you think it takes too much time or it’s something you don’t like doing then keto is going to be a little bit harder for you. You can always do keto blind and just make up the meals as you go along but then you aren’t sure if you are getting the fats and protein you need or making sure that you’re keeping your body in a caloric deficit. It’s not impossible, it just makes things a little bit harder. Overall, it’s important to make food that you enjoy and that means experimenting a bunch. You won’t like every single keto recipe that you prepare so expect a lot of trial and error until you get things nailed down. Once you begin your keto journey you’ll wonder how you can get your body into ketosis as quickly as possible. 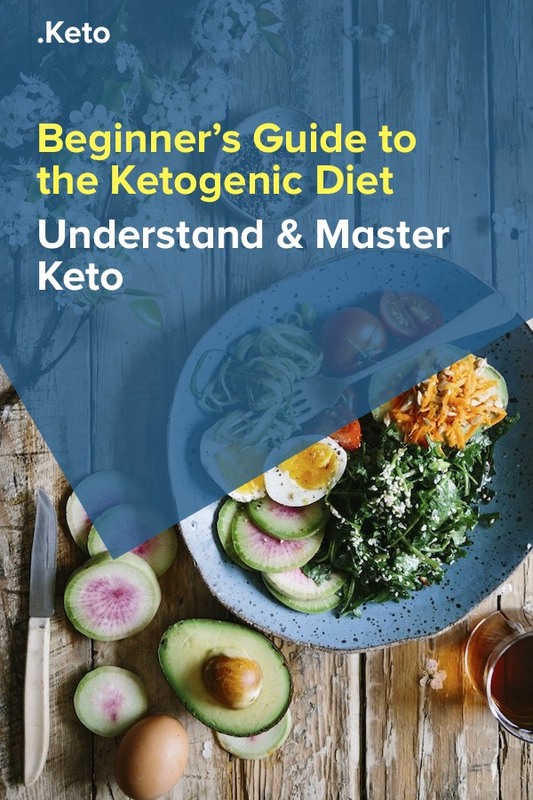 Because the whole premise of the ketogenic diet is to get your body into a state of ketosis, it’s important to understand how to reach it. In the book, The 3-Day Weight Loss Manual, a technique is shown that helps you enter ketosis in 3 days. If you aren’t in that much of a hurry or want to go extreme with fasting and carb reduction then you can take things a bit more slowly and still enter ketosis in a short amount of time. Before I show you some steps to enter ketosis it’s important to remember that every person’s body is different. Some people enter ketosis in days while others take weeks. It’s completely dependent on the body and how it handles foods. Restrict your carbohydrates. While you’re already restricting your carbs on keto you can push it even more by only consuming 5g or less of carbs a day. Restrict your protein. Protein is sneaky because too much of it and your body will begin to convert it into glucose which is what you don’t want because once the body notices it has glucose it can use it will switch over to that and knock you out of ketosis (or prevent you from entering it). Stop worrying about fats. To lose weight on keto you need to consume fat. This goes against what many people believe in but healthy fats are the best way to lose weight so you need to get over that mental block. Drink lots of water. If you aren’t consuming enough water then the organs in your body can’t function properly. There is no point in eating right if your body can’t do what it is supposed to with the foods. Drinking plain water can get tiring so I like to either use MiO in my water (this kind also helps to replenish electrolytes) or I’ll turn to a detox water to change things up. Careful with snacking. Snacking is what gets many people in trouble when trying to lose weight. When you snack you aren’t sure the amount of carbs you are consuming. That’s why it’s important to find the right kind of keto snacks to keep you in ketosis. Consider fasting. Many people on keto like to do some form of intermittent fasting because it forces the body to rely on fats as an energy source. Add in exercise. The fast your burn calories, the faster your body needs to find more energy. Combine exercise with fasting and you have a fast track way to enter ketosis. Tabata workouts are great for keto. A simple 20-30 minute daily walk can also work wonders. Consider using supplements. There are a number of keto supplements out there that can help you reach ketosis quicker and stay in it. They aren’t necessary but it can sometimes be hard getting all of the vitamins, minerals, and fats that you need simply through the food that you eat. Most importantly, always check the list of ingredients in the foods that you eat. If sugar is near the top of the list then you probably shouldn’t touch it. There is no point in trying to get into ketosis if you can’t tell when you’re in ketosis so let’s talk about the different ways you can tell if you’re in ketosis. The most popular way to test your body for ketones. Keto strips are small pieces of strips that you urinate on. They will tell you the number of ketones in your urine. However, more ketones don’t always mean you’re in ketosis and low ketones don’t always mean you’re out of ketosis. These strips are helpful to understand how much ketones your body is producing at the beginning of your ketogenic journey. Once your body gets used to using ketones as an energy source it gets better at producing the right amount so ketone strips may no longer show any more ketones present in your urine. You can purchase these strips on Amazon or head down to your local CVS. You can go the more expensive route of buying a Blood Glucose Meter which tell you the level of glucose in your system. The lower the reading, the closer you are to ketosis. However, this can be a pretty expensive way to test for ketosis because the test strips can be pricey over time. If you don’t want to buy anything then you can look for symptoms of ketosis. Because your body is going through a process that you’re not used to, you’ll begin to notice some crazy things happening which are signs of ketosis. Increased urination: Doing keto is a natural diuretic so don’t be surprised if you find yourself going to the bathroom more than usual especially with how much water you’ll be consuming. Because your body is now producing ketones, one of them is Acetoacetate which is excreted through the urine. Dry mouth: The more fluids that are leaving your body, the fewer fluids you have to keep certain parts wet (your mouth silly). This is your body telling you that you need more electrolytes. This is the reason why I sometimes add this MiO to my water. Also, don’t hesitate to salt up every meal. Salt can be your friend. Bad breath: Acetone, another ketone, is partially excreted through your breath. It doesn’t smell good but over time it disappears. If you want to fight it at the beginning then feel free to chew many of the sugar-free gums out there. Reduced hunger and increased energy: This is the sign that lets me know I’m definitely on the right path because it’s so noticeable. When I feel less hungry and yet have more energy I know that my body is doing what it’s supposed to be doing. When doing keto, the last thing you want to do is continuously test to see if your body is in ketosis. For some people, it becomes an obsession and tends to distract from the main goal of getting healthy. If you want to dive deeper into ketosis and its signs then check out What Is Ketosis? The Thing Behind the Ketogenic Diet Explained and 7 Signs You Might Be in Ketosis When Doing the Ketogenic Diet. If you continue to do research on the ketogenic diet you’ll find that there are actually a couple of different versions of the ketogenic diet. The reason for this is that people have different needs. For example, if you’re a bodybuilder, you probably need more protein than the daily recommended 20%. If you’re a marathon runner you might want to consume some carbs before the big race. These are completely different strategies that one needs to incorporate that differ from the traditional keto diet and this is why there are variations of the keto diet. Standard Ketogenic Diet (SKD): This is the version that we are talking about in this article with the 75/20/5 ratio of macros. Targeted Ketogenic Diet (TKD): This is a small variation where you follow SKD but consume a small amount of fast-digesting carbs before any strenuous physical activity. Cyclical Ketogenic Diet (CKD): This is a much more complicated version of keto that is mainly used by bodybuilders. In this version of keto you give yourself one day a week to “carb up” and resupply your glycogen stores. So if you are someone that does an insane amount of physical activity just know you aren’t limited by the traditional keto diet that many people talk about. Speaking of physical activity, should you do any type of exercise on keto? Many people that have high levels of physical activity are concerned that keto will lower their performance levels. It’s easy to understand why they believe this because we are conditioned to believe that we need carbs to fuel us. Hopefully by now you understand that carbs (glucose) isn’t the only energy source that your body can use. However, you might experience a slight perfomance hit at the beginning of your keto journey but that is because your body needs to adjust. If you want to learn more about exercising on keto then check out Keto Workout: Exercising While on a Ketogenic Diet. Now it’s time to talk about the bad side of keto. When you start on your ketogenic diet journey it’s important to remember that you are completely rewiring your body. This transition doesn’t come without some short term consequences. While switching over to keto you’ll have this funky period where your body uses up all of your glycogen stores and it hasn’t produced enough enzymes yet to break down fat into ketones. It means your body doesn’t have a fuel source that it can turn to which can lead to a lack of energy and general lethargy. This can be quite discouraging because one of the huge benefits of keto is increased energy and this is the completely opposite. However, this is only temporary and you just need to fight through it. People also experience headaches, mental fogginess, dizziness and aggravation. None of this sounds appealing at all but there are ways you can preven this from happening. All of this is usually caused by the lack of electrolytes so if you’re able to keep your sodium intake at a good level throughout the day you should be alright. If this sounds like the flu to you then that’s almost exactly what it is and it’s why it’s called keto flu. Keto Flu is a very common experience for people doing the ketogenic diet and it’s also the reason why many people quit. Nobody wants to feel terrible and the easiest way to stop feeling terrible is to stop the cause of it so people end up quitting. However, you can find the Keto Flu if you understand why it is occurring. Keto is a diuretic. Every time you urinate you’re losing electrolytes and water. To combat this some people like to drink bone broth or make a drink using a bouillion cube. The goal is to replace the electrolytes that you’re using. Your body is transitioning to a new system. For however many years you’ve conditioned your body to work with carbs. Telling it suddenly switch to fats isn’t going to happen overnight. It’s like telling a car factory that they are now going to start making boats. The faster you can get your body in ketosis the faster you can get out of (or avoid) Keto Flu. Sticking to less than 20g of carbs a day is a good start but if you can drop that even lower then your chances of entering ketosis increase. Remember to drink your water and monitor your electrolyte intake daily. To learn more about keto flu check out Keto Flu: What It Is and How to Beat It the Healthy Way. Besides keto flu are there any other side effects of keto? Don’t be alarmed though because these side effects won’t affect everyone. Remember, we all have different bodies so how your body will handle keto can differ from how mine does. Because keto is a diuretic you end up losing a lot of fluids. When your body is dehydrated you can experience cramps so the best way to retain some fluids is by upping your water and sodium intake. If you find that this isn’t helping with the cramps then you can also incorporate a magnesium supplement. When I first started keto I didn’t poop for days. This isn’t normal. When you’re dehydrated you’ll find that you are using the bathroom less and that’s not a good thing. You can prevent this by increasing the amount of water that you drink and making sure that the vegetables you are eating are filled with quality fiber. For some people even this isn’t enough so they need to supplement (initially) with psyllium husk powder. This sounds scarier than it really is. On keto your heart may begin to beat faster but this is standard for a lot of people. As usual, you need to make sure that you’re drinking enough water and eating enough sodium. If the problem decides to stick around longer than you want then look into adding a potassium supplement to your daily routine. Since your body hasn’t fully transitioned over to keto yet, you’ll find that your physical performance might slip due to the lack of energy. This will disappear once your body enters ketosis. As you can see, the side effects aren’t terrible and you can prepare for them if you plan ahead. Ensuring you keep electrolytes in your body will many times prevent any of these side effects from even showing their face. Taking supplements and restricting yourself to non-processed foods sounds like it can get expensive but it really isn’t. In fact, you can do keto on a budget. Some people wish to believe that eating keto costs more. This is simply not true. Initially, you might find yourself spending more money than usualy when you go shopping but that’s only because you need different ingredient from what you’re used to. For example, how many people keep almond flour around or coconut oil? However, once you switch your pantry over to a keto pantry the food costs are still the same if not lower. Because you’re going to be eating a lot of meat (if you’re not a vegetarian) then you can buy meat in bulk and freeze it. If you really want to push the limits you can also grow your own vegetables and herbs. Keto also forces you to cook for yourself more instead of eating out which will save you a ton of money. Meal planning will also help you save money since you won’t randomly buy meals that don’t fit your plan. One of the greatest advantages to cooking on keto is that you’ll find you have a lot of leftover food that you can eat the next day. Leftovers always save money. They can save time as well. For instance, you might decide to do some keto with an instant pot so that you can throw food in and simply walk away. On keto, money and time shouldn’t be an issue if you really want to achieve the body that you want.